I obviously am not someone who could ever pass to enter any royal family anywhere in the world, but at least as far as hair is concerned, it's possible to achieve royalty worthy hair now!!! I recently tried L'Oréal's XTenso Oleoshape, and in essence, got Kate Middleton hair. This blog post will of course be all about how it's done, but XTenso Oleoshape, in the simplest terms, permanently makes your hair shiny, shaped, and voluminous, just like royalty. No more poofy hair days, buhaghag days, "OMG di ko napatuyo buhok ko nang maayos days." and the like. Since getting it done, my hair looks like it's ironed and blow dried 24/7, even when I just towel dry and brush my hair. For those who would like to see the treatment in action, check out my vlog! 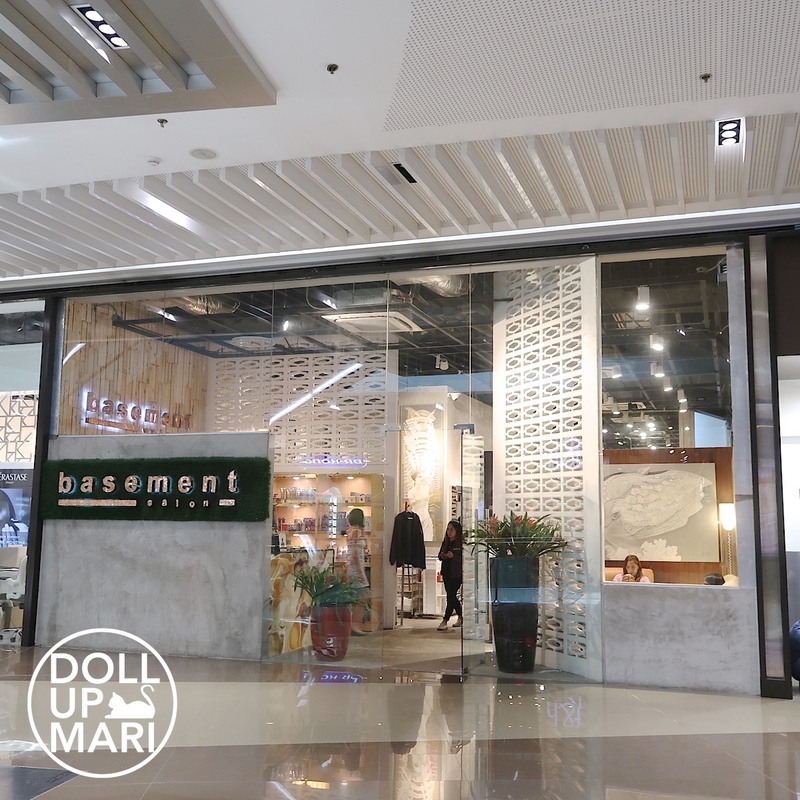 I went to Basement salon at SM Aura to get my treatment done. L'Oréal has several salon partners for this treatment around the metro, so you're sure to also find a salon near you offering this service. But of course, if you're looking for top caliber service, Basement salon is the place to go to. So let's get down to the steps! XTenso Oleoshape is Kate Middleton hair for short, but in essence, is a futuristic and modernized take on hair rebonding. In international parlance, it's called "volume rebond". The goal is to create voluminous hair that looks like it's blow dried 24/7, not to produce ruler straight hair. This is why while the general steps are generally the same as with that of traditional rebond, the difference lies in the details and manner of execution; although it must be said the little differences create big impact. Yeahp! Just sectioning. My hair is shoulder length, so it's took them a very short time to do this. They apply smoothing cream to make the hair obedient. This is the perming cream or rebonding cream for this process. XTenso Oleoshape is a system that can be used for both rebonding and perming purposes, so they have different smoothing creams for each purpose. 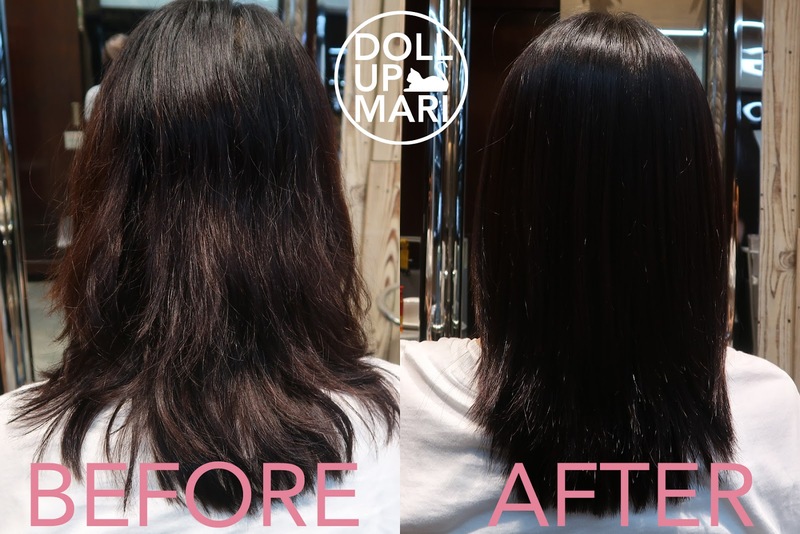 You can choose to get permanent blowdried hair like I did, but you can also opt to get this as a digital perm. Since my hair strands are thin, it only took 10 minutes and my hair was already responding to the cream. People with coarser hair may take longer for this step. Thankfully, this only has a mild ammonia smell, so this is tolerable, even at slightly longer exposure periods. They purposely worked on a low odor formula so that the treatment is more comfortable for clients. 3.) Rinse off, then blow dry. After it was rinsed, my hair was towel dried first, then blow dried, to start shaping it. 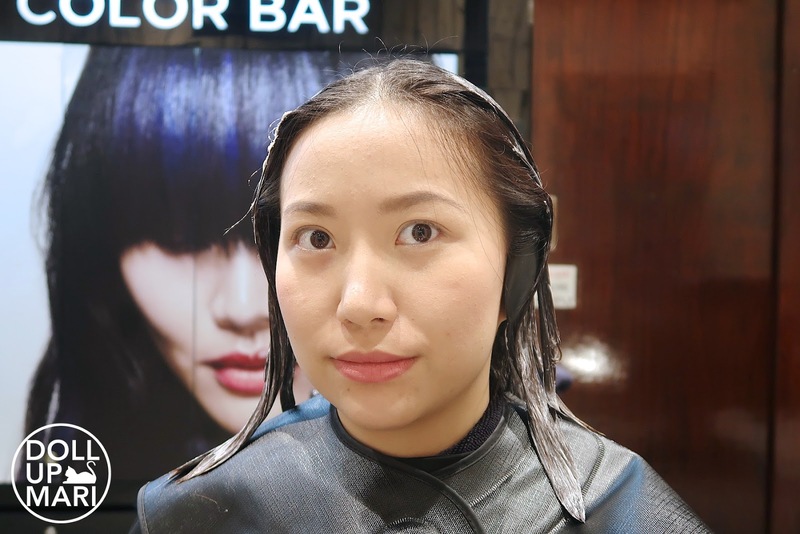 This was done because the treatment aims to give voluminous hair, and also because ironing wet hair is a big no-no, especially during a chemical treatment like this. They then used a SteamPod to iron my hair to shape. 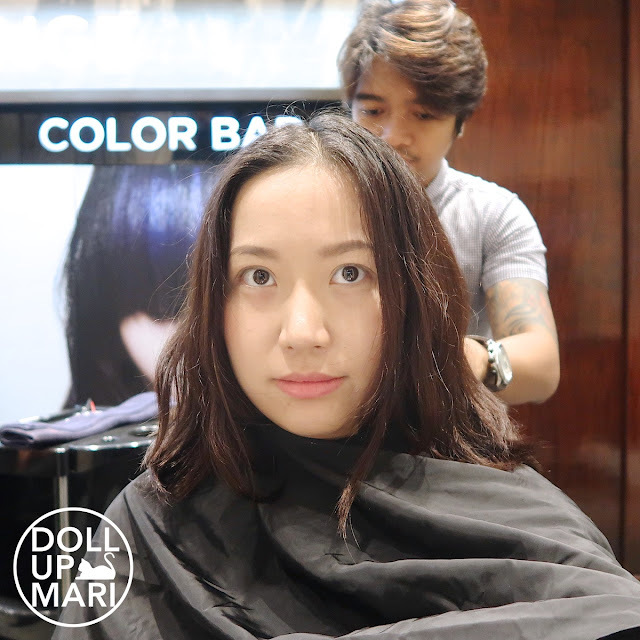 The difference lies a lot in this step as well, aside from the blowdrying. They only do 2-3 passes on each section of hair, unlike traditional rebonds which would need about twice the amount of passes. Less number of passes means less heat and less damage, and also a more natural and flexible result. Hair does not end up ruler straight nor becomes stubborn. This is the sealer, per se, or the step to seal in all the shaping and ironing that was done. 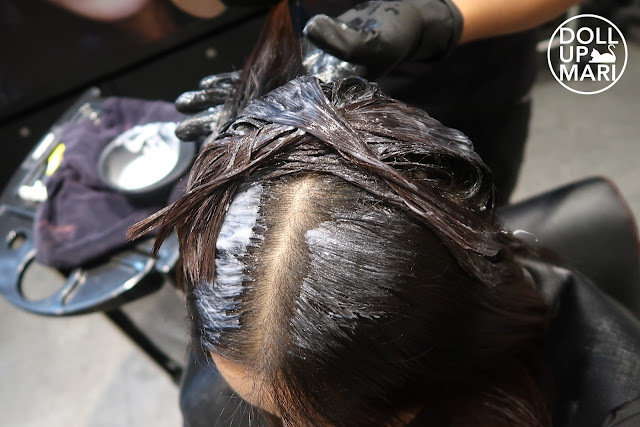 Once this is rinsed off, they use another SmartBond step to protect the hair and more or less bring it back to its healthy state. Once all that is rinsed off, it's done! Hair is ready to be dried and trimmed. After my XTenso Oleoshape treatment and a trim, this is the result! 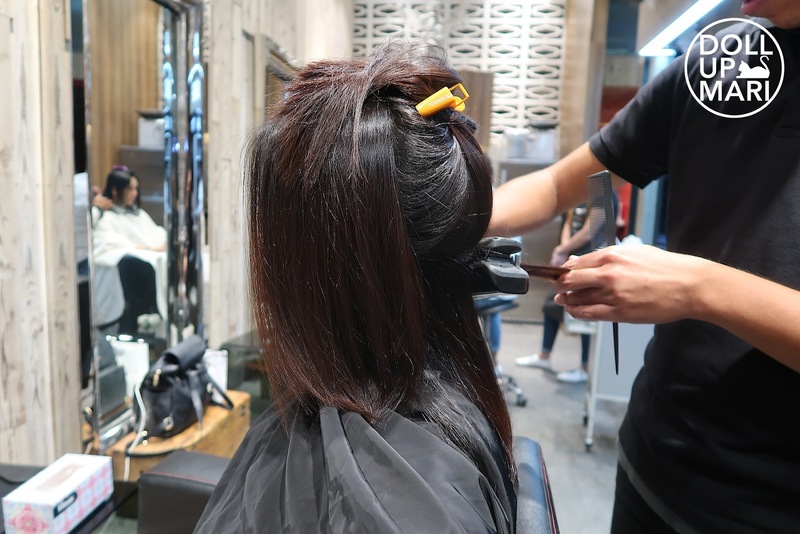 Trims will more or less be implemented in all cases, as the stylist will need to shape your hair into the desired shape, so that it's voluminous. Kung baga, para maganda ang bagsak. A picture speaks a thousand words in this case, as it's visible how tamed and shiny my hair is after the treatment. And more importantly, this blowdry is permanent! It's not like the usual blowdry that you know will wear off once you wash your hair. This is a blowdry that's going to serve you well 24/7, without fail. Even if I'm just going to the bank or going to an event, I don't have to worry about my hairstyle anymore. Now I'm sure y'all have a lot of burning questions, so let's tackle them here! What makes this different from the usual rebond? This is different in 3 ways. First, the formulation is milder and kinder, as this is made mostly of oils and organic ingredients. 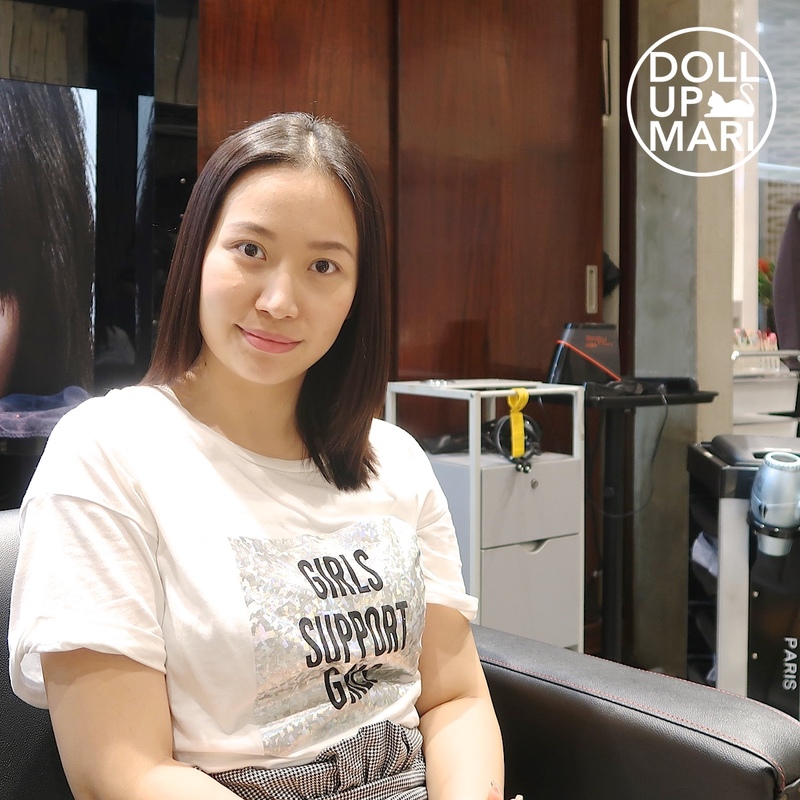 Second, the treatment is enhanced with SmartBond, L'Oréal's haircare system to prevent damage during chemical treatments. Third, this aims to be a holistic treatment to make voluminous hair, so the final goal really is not to make ruler straight hair. They will trim your hair to shape it so that it's voluminous, and they use less heat and less iron strokes so that hair doesn't become stiffly straight. The pricing depends based on the salon you visit, but for Basement Salon, here are the rates: Php6,000~ for hair before the jawline, Php7,000-8,000~ for medium/shoulder length hair like mine, Php10,000~ for long hair, Php12,000~ for waist length hair. 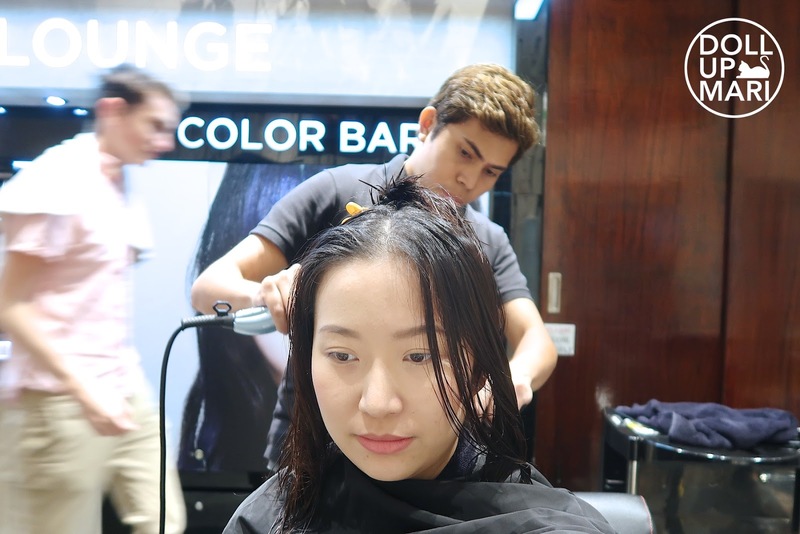 Pricing may also differ from the salon's rules on what counts as medium or long hair, so these rates are just general figures. It depends on your hair type! I have really thin hair strands that are only medium length, so it only took me about 2.5 hours. I learned that other vloggers with waist length hair took 3-6 hours, the time being longer if your hair is coarser and/or thicker. Generally, I recommend this treatment for when you don't have anything crucial scheduled for the day. What do you need to do right after? Just like a rebond, one must not wash one's hair for 48 hours. No putting of hair behind the ears, no ponytails, and no curling of hair for one month. As I have thin strands, I was told that the effects will last until I cut treated parts. Since I have super slow growing hair, essentially, it means forever. Thin strands also mean that my regrowth will generally blend in with the treated portions. 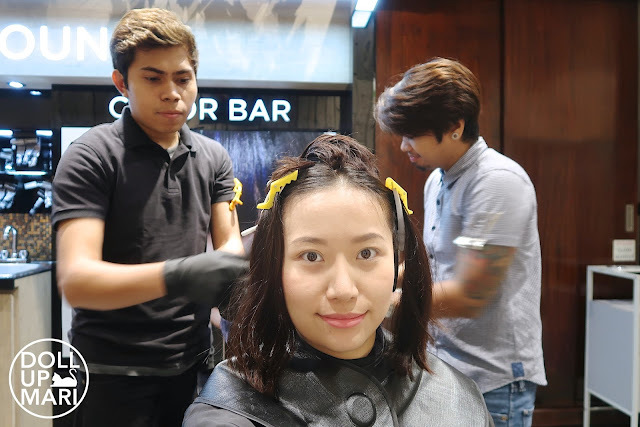 For people with coarse hair, just like the usual rebond, it will be one's unruly regrowth that will necessitate getting the treatment again, not the treatment wearing off per se. Can people with bleached hair go for this? A RESOUNDING NO!!! This still is a chemical treatment, so if your hair has just been bleached, you cannot go for this. 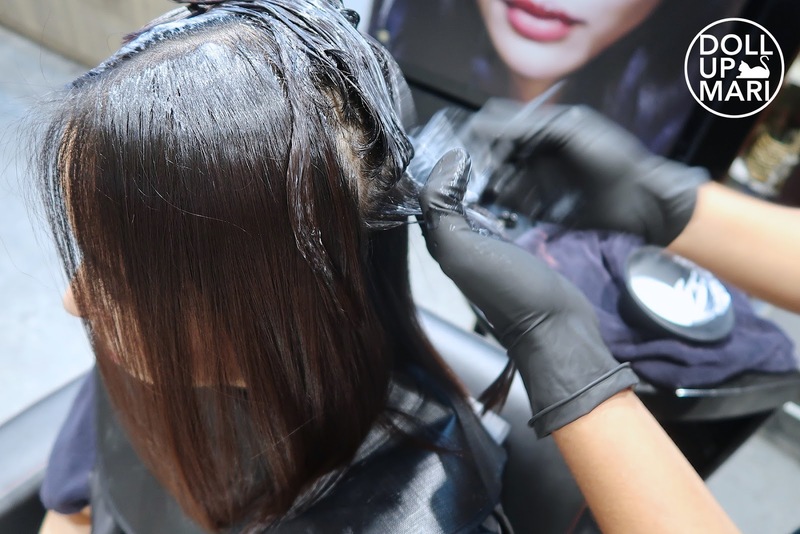 If your hair was recently dyed, or rebonded just very recently, you may also not be eligible for this treatment. The 2 inches of my remaining bleached hair, despite being dyed over with dark colors over 5 times, still visibly lifted and lightened after this procedure. If my hair was already bleached almost 2 years ago and still reacted that way, what more newly bleached hair? Can pregnant and lactating women go for this? It depends on your physician. People react differently to the same treatment, so seeing someone else do this does not automatically make it OK to do so. While this treatment is generally safe, it's best to not risk your or your baby's health, so be sure to consult with a medical professional first. And before I end this post, I'd like to thank Melvin and Earl of Basement salon for patiently doing my hair, and tolerating my talkativeness. Thank you so much!!! 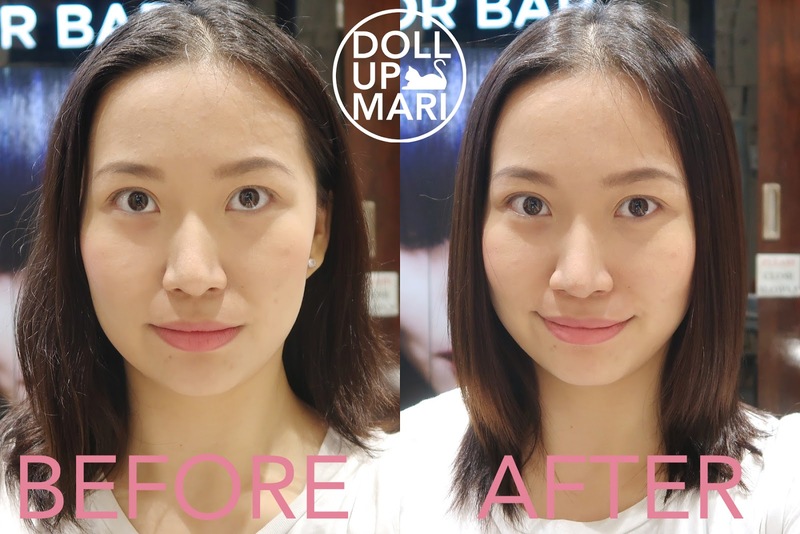 Thank you so much to Trish of L'Oréal for accompanying me!!! Had a great career talk wahahaha. Thank you to boss Cyril as well, and hello to boss Earl (my best friend Earl, different from hairstylist Earl). Obviously I'm too loud to be a princess, but at least I now have princess hair!